Tattoo lovers are often misjudged as rebellious and tattoos are perceived as dirty or even demonic by some. But there is a deeper truth behind tattoos and wearing one. Everyone with a tattoo mention varying reasons as to why they sport this type of artwork. As for me, it’s as personal as the symbol behind each piece of tattoo. My first ever is a pair on two wrists. Supposedly, the initial concept is a inscription of the verse John 3:14 on all four knuckles of my fingers. But the tattoo artist said it will be quite painful. The same applies to tattoos on the opposite side of the palm. 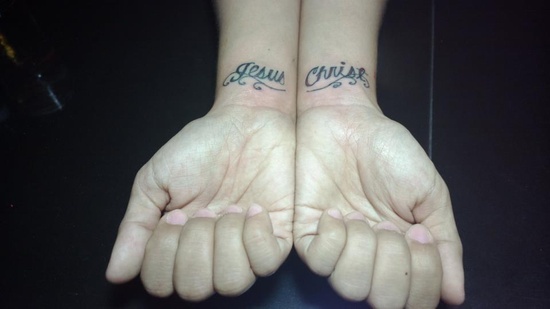 As per his suggestion, Jesus Christ was tattooed on my wrists. And although the pulse veins are quite bulging in the area, it wasn’t affected. Was it painful? Yes of course, but only while the session lasted. With the help of a few drinks I was sipping in between, I managed about four dueling hours with several breaks in between as a first timer. This tattoo’s meaning: Jesus Christ endured more on his own wrists nailed to a cross. It’s a symbol of gratitude reminding me of His great sacrifice. 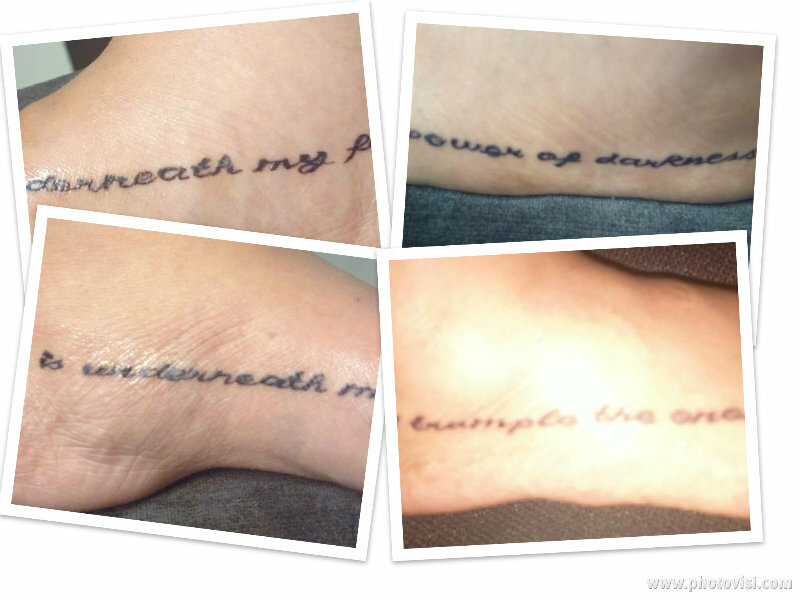 It’s amazing what the third tattoo set had accomplished. It’s a cover up covering a scar measuring about 4 x 2 inches. It had been at the back of my right hip since for more than 2 decades. I doubt if any procedure can remove it. Even the dermatologist I’ve talked to discouraged any hope for it. See Childhood Scar section on this post. 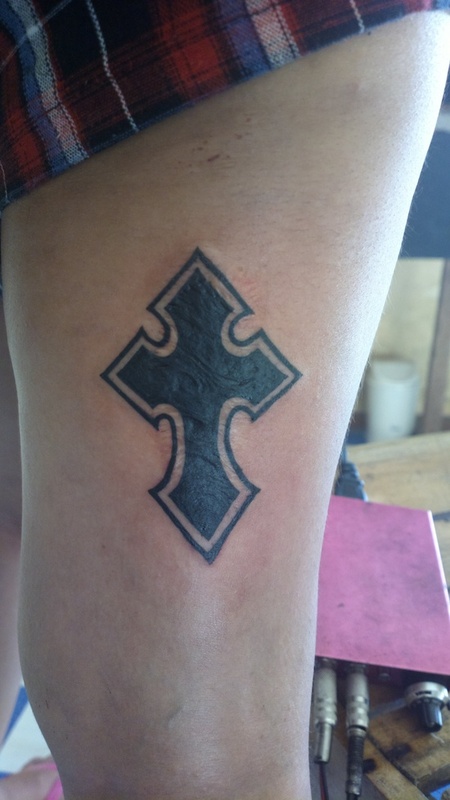 I never thought I’d have a tattoo although I never judged anyone with tattoos prior to me having some. In fact, I consider tattoos as an artwork and admire their aesthetic appeal. If you too are fascinated with tattoos, there are guidelines before you head over to a tattoo shop or consult an artist. Bear in mind that some jobs are not yet open to tattoos, particularly in the medical field. Countless are also not a fan of tattoos, some of which may even include your immediate circle of family and friends. There are also potential health risks associated with tattooing, most especially when you undergo a session through shops with cheap fees but with unsafe practices when it comes to handling needles and ink. It will also be painful while the session lasts. So make sure to think these through before you even consider wearing a tattoo. I intend to add more to the collection of tattoos in the future but whether I go through the same painful process soon enough or not anymore, I will remain amongst tattoo lovers and fans.